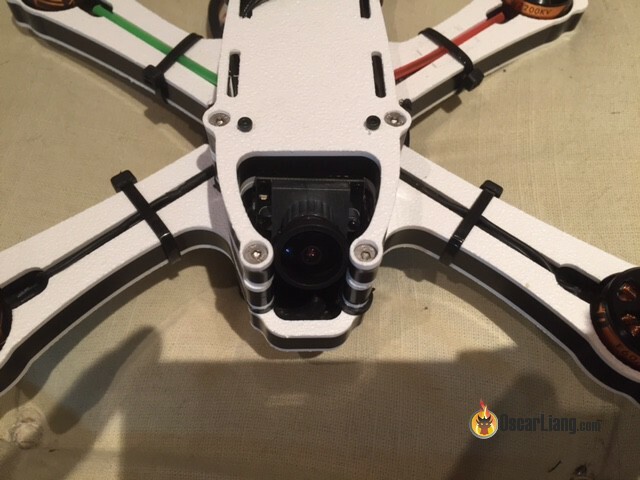 Connex Prosight is one of the first HD solutions for FPV flying and racing. Is it the future of drone racing.. maybe? Let’s find out in this review. The Prosight system costs US$500-$700 depends on the regional version. The kit includes a camera, video transmitter, and a video receiver. Yes, the system is expensive as hell. In conparison to analog FPV system, currently even with a high-end setup would cost under just $200. The OSD menu can be accessed via a little button on the side of the receiver and you can see all setup options directly in the screen while operating the buttons on the receiver. You can also connect to the receiver via bluetooth using your mobile phone and change settings that way. BEWARE!!! If you are buying the standalone version RECEIVER (not transmitter), make sure they are set for your country region. I purchased mine from Hobbyking, which misinformed me in their product description and I ended up getting the one for US region that CANNOT BE CHANGED. There is no option whatsoever to choose region. As if the receiver lock-down wasn’t bad enough, there is also lack of parts support for your camera. If you happen to break the plastic holder for the camera, then you are out of luck. I contacted Connex customer support and they told me to contact the reseller instead. Since I don’t have $100 to waste for just a broken little piece of plastic nor any friends, I had to go and fix it myself. EDIT: At the time of this article release, Hobbyking now has a few spare parts available, such as antennas, lens and cables. Interestingly this happened just after I nagged them over chat! Who designed this shark whale tail antenna mount?! The system really shines when using the setting “Best Quality” (you can find this under camera options in the OSD menu). Unfortunately a little amount of lag is noticeable. I could still fly with it even through trees and racing. But there is enough delay to hold you back and you wouldn’t be able to fly as fast as you normally could. It’s kind of hard to explain, the best example I can come up with would be like flying with a GoPro as your FPV camera (but maybe a tad faster). To minimize the latency, we can use the other setting called Best Performance. With this option I didn’t notice any lag whatsoever. It runs amazingly smooth but there are some disadvantages that come with it. The quality of the image is reduced drastically and it feels more like an analog system than a HD system. Also the image looks much darker than in High Quality. In a well lit environment the image still looks nice but if you are flying under cloudy weather or late in the day you will struggle to justify why you spent so much $$ in this product. Speaking of light conditions, the camera doesn’t handle low light that well. On the day I was testing it, the image got increasingly darker as we were approaching sunset. After sunset I only had only a few more minutes of proper flying until it was too dark to fly well in proximity. The symptoms of weak signal appear differently between analog and digital systems. Are you getting tired of static and snowy screens when you fly behind a tree? Those days are gone with ProSight, the image stays clear! I really wish that Connex could up their game. As it is now, I’m sure some people would buy into the system and use it. 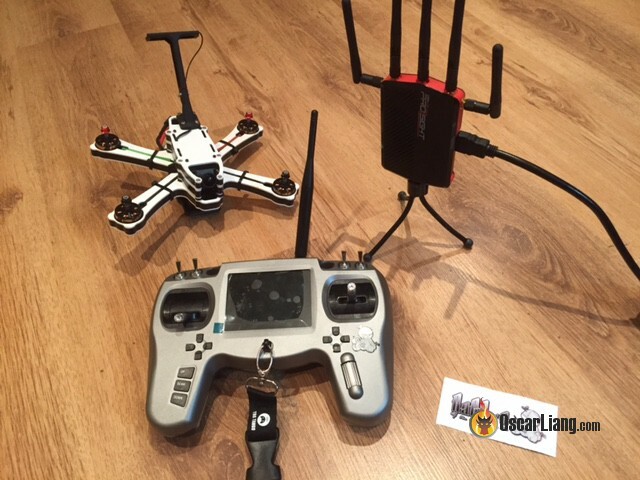 But I doubt everyone will be fully satisfied or WOW’d by what it brings for Drone racing. Update Mar 2017 – Hurray! Connex Prosight has recently had a massive upgrade which intended to fix some of the issues described before in this article. H+ is an in-between mode from HP (High Performance) and HQ (High Quality). This new mode takes more advantage of the qualities of the current camera by increasing the quality from the High Performance mode while still keeping the same latency. The quality is quite noticeable, especially when you are in poor light conditions. This new mode requires a new specific 1.4mm lens to replace the current HD camera lens. If you don’t replace it you will see everything zoomed in. This does mean that if you want to alternate in between modes you will need to change the lens back and forth but … why would you really? The new firmware uses the digital camera capabilities to increase picture brightness making it easier to fly in darker places. I don’t feel the need of using it indoors in a well lit location, but it definitely improved my dusk flying capabilities a lot, making it now possible to actually see bigger branches in the dark. 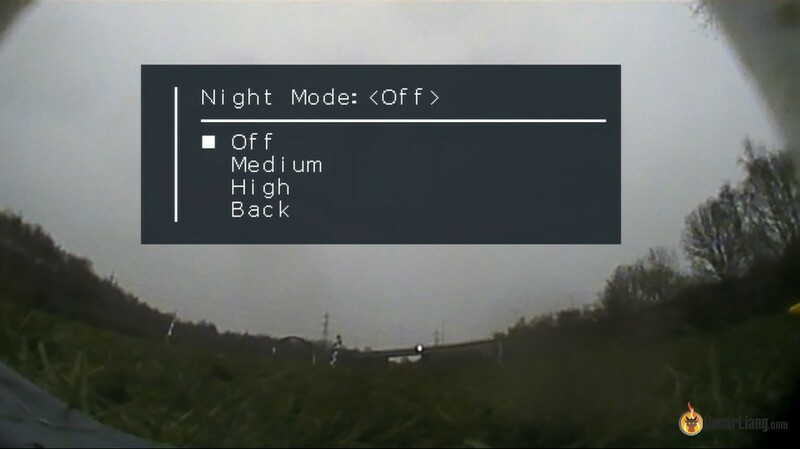 There are two modes added under camera settings named Medium and High. I tend to use medium most in low light conditions and it seems to work well. In an attempt to get some unbiased opinions I gathered a few beginner pilots that had never flown Connex before and had them fly a lipo in my regular field. I really think that Prosight could improve their game making a vtx that allows us to use regular analog cameras (like some runcam with wdr) and do the analog2digital conversion inside vtx. Once I saw a guy reviewing an eachine vrx that connects on a smartphone and it only had around 20ms latency, so it probably can be done. This is what its like starting a business. First you have get the idea and the create a product which gets prototyped modified, etc.. until it finally can be marketed. Theres investing in parts and companys which don’t like dealling with low quanitity sales, and when you do managae to get 1000 packages put together. The investor is only looking at his return on investment and aswell as the profit on the sales. Which then can be reinvested into more product and prototyping. EAch business see marketing strategies differently. A good strategy is when a company is making sales and not sitting on product, which happens when the profit margin and return on sales isnt an issue. for example. some people want to double up using $0.50 cents to make $1 which may take a year. and other people will use $0.50 cents and sell the product for $0.51 which may take 1 day all they gotta do is have alot of product and hope the companys they are dealing with don’t run out of parts because then they will be sold out and leaving customers hungry for more. while the other guy trying to sell the product for $1 has no customers because the $0.51 cent guy has a better marketing strategy. either way you need to have money to invest and lots of it. I would buy the digital if it was the same price as the analog. and my guess is the rest of the fpv world would too in a heart beat. Would you recommend the ragg-e curse frame for a beginner? I’ve been flying a FlexRC mini-owl, my first build, and I am looking into building a bigger freestyle quad. Any recommendations would be very appreciated. What about audio? That would make, or break the deal for me. I’m going to be building a quad soon, and since seeing all the reviews after the update (also with new fatshark. Base HD). I was going to go with the connex, but I’m huge on feedback from motors! This review should be updated and you should post what goggles you are using. There is no noticeable lag on the Connex Prosight so any that you are seeing is going to be from whatever goggles you are running. On Vuzix iWear and Avegant Glyphs there is no noticeable increase in latency. Using Fatshark V3/HD1-3 you will notice the latency. thanks, and thanks for your blog. I suspect Brennen ad Oscar have different ideas about what good/decent is. Oscar, can you give an example of the components you would buy for a decent setup? look at Chris’s comment, that’s pretty decent setup. OK, so that’s apple and apples then. $200 vs. $500 (retail). BTW, I noticed the Prosight system is on sale for $399 at getfpv (and maybe other places too) right now. I disagree it is only $200 to get analog video for FPV. I’m just getting into the hobby, and have done a little math… the ProSight is not much more expensive when we add in EVERYTHING needed for a good FPV experience..
… it’s about $500 for junk analog or $650 for a ProSight in my country. Even if this is gen 1 technology, for someone like me who needs to buy all FPV equipment anyways, it makes no sense for me to invest in soon-to-be obsolete analog equipment. 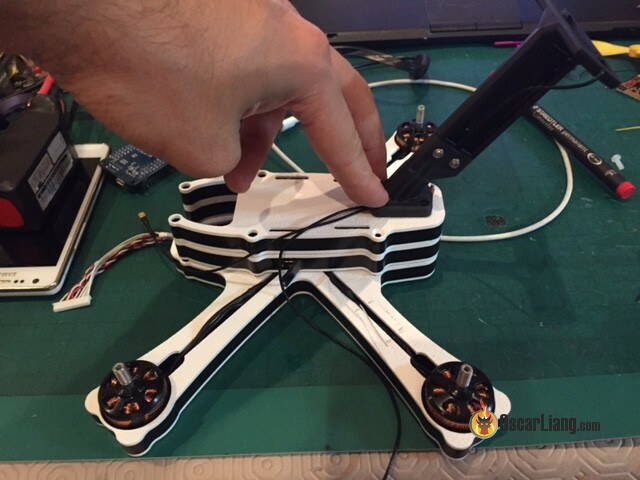 After if you are into FPV you can buy or build a racer within the price you mentioned. Ridiculous prices. Do you live on Mars LOL? Your prices simply don’t make sense to me, if that’s true then you are getting ripped off by the seller, big time. Ask anyone, typically we only spend less than $150 on a decent analog FPV setup, not even close to $200 as stated in the article. Who are you buying from? If you are really paying those prices you are being ripped off in the extreme. You can buy a Runcam Eagle on Amazon (Not where I’d recommend buying FPV gear) for $55 US even if you are converting to Canadian (which you shouldn’t do unless you convert all the estimates in the article as well) that is like $70. The rest of your numbers are equally or more out of reality.